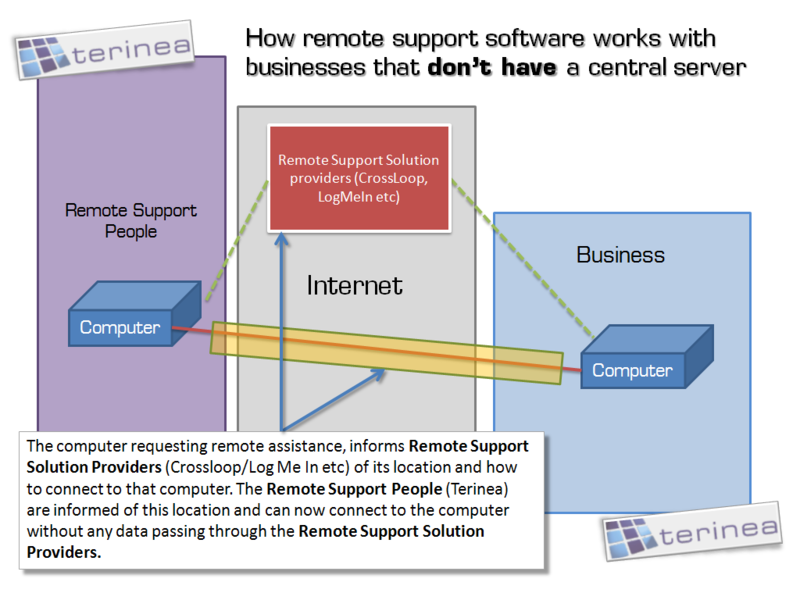 Interesting post – I am currently paying for my remote control solution and use NTRSupport which is a very useful support tool as it allows us to place a button on our website that users can click to obtain help via a chat session; remote control can be triggered from then on. 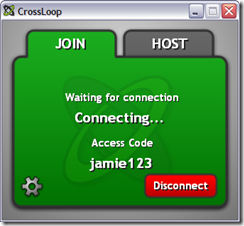 Previously I used LogmeinRescue which again was very useful. A BIG thanks from this small team at CrossLoop for such a wonderful and detailed review of our product. You dont see this but it means a lot. Please feel free to email me if you or your readers have any questions. 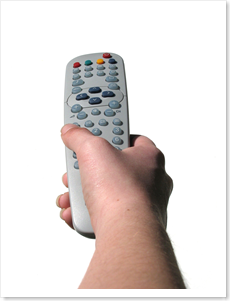 Also, I recommend that you subscribe to our blog…. we are working on some really exciting stuff. Jason – That sounds like an excellent idea for our new website. Mrinal – Thank you for dropping by! I will be subscribing to your blog. Its an excellent product, I hope it grows from strength to strength. Great article on Crossloop. I’ve been using it for quite some time myself. 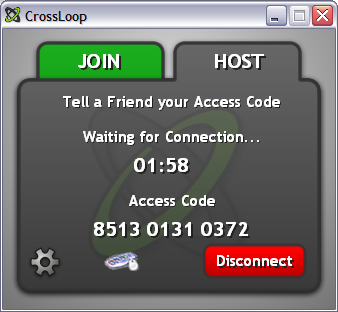 It’s too bad it does require the user to download software, but so far I’m finding that Crossloop is pretty simple and is out performing other applications like Unyte (plugin for Skype), and Yuuguu. However I always did like the true VNC interface, (which is the core behind Crossloop) as it gives us the ability to control the color ratio and turn off backgrounds. 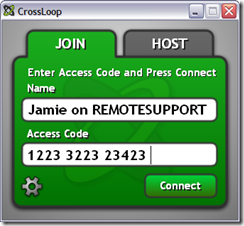 I hope Crossloop will give us access to those options in the future, as it will just make the process of providing remote support so much more efficient and faster. Richard – Thanks for your comments, will have to check out Yuuguu and Unyte. 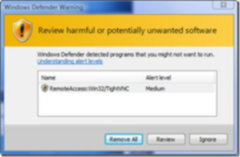 Please forgive my ‘suspicious’ nature – but why is this free ? Bill – I think they want to build a kind of social network group. You can also offer your IT skills by place a badge on your website. Hey Bill – I notice you have forum on your website, how does that work out for you? I was thinking about create one myself for more technical info. I get it now – thanks – I couldn’t get it to work at first – but I was trying to do about 20 things at the same time…which is becoming the ‘norm’.. The forum on our website is becoming one of our most valuable (or is) touch points with the big wide world. We get people on there who are genuinely interested in helping others and we get a ‘knowledgebase’ built as a by-product. I’m looking at revamping our website – using a free CMS – I know about Joomla and WordPress – any recommendations ? Any I should take a look at…Is this site done with WordPress ? 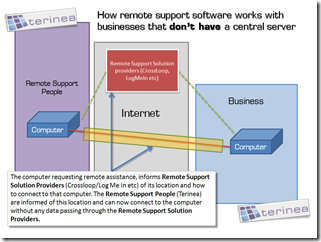 We use or have used several of the support tools you mention including vnc, Microsoft remote desktop, logmein. 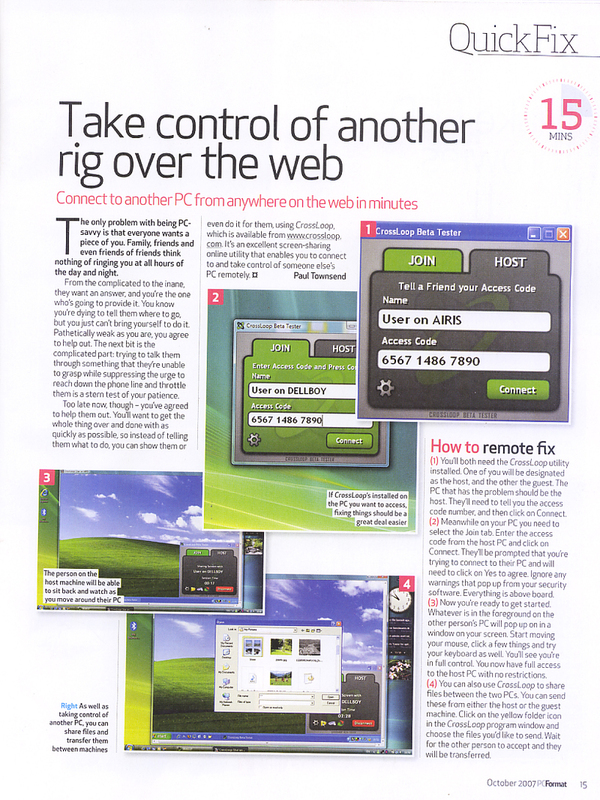 I’ve only use Crosslink once and found it to be frustratingly slow in comparison with other tools. 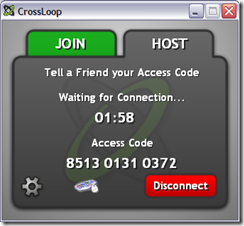 This might well have been down to the site I was connected to, so I’d be interested to hear about your experience of Crosslink speed. 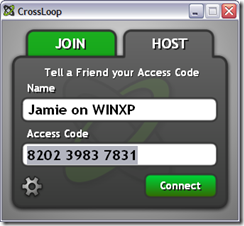 CrossLoop is an alternative solution for 1 on 1. For us corporates, we’re thinking of moving to and using http://www.simple-help.com solely because it is cost effective and will have us thousands of dollars in the long term. 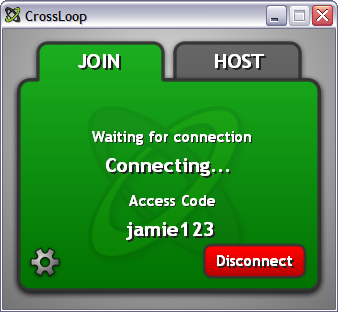 -Your own server (full control)to customize your own main webpage. -Year support is cheap and well worth it. 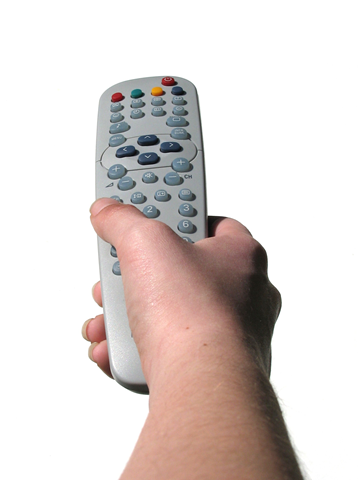 -Best of all, NO MONTHLY SUBSCRIPTION! I’d recommend Simple-Help to medium and large corporations to provide IT Support to their users. Simple-help is web-based and cheaper than GoToAssist, Log-Me In and others that wants monthly subscriptions. 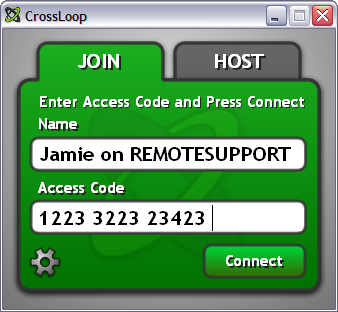 CrossLoop has worked for me when GotoAssist Failed on a client. 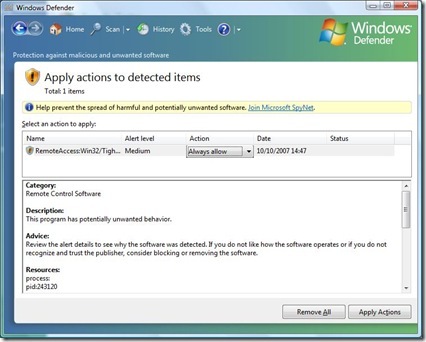 I would like a easier way for a user to download. But For Free what can I expect? Teamviewer is by far and away the easiest tool to use, sorry guys. 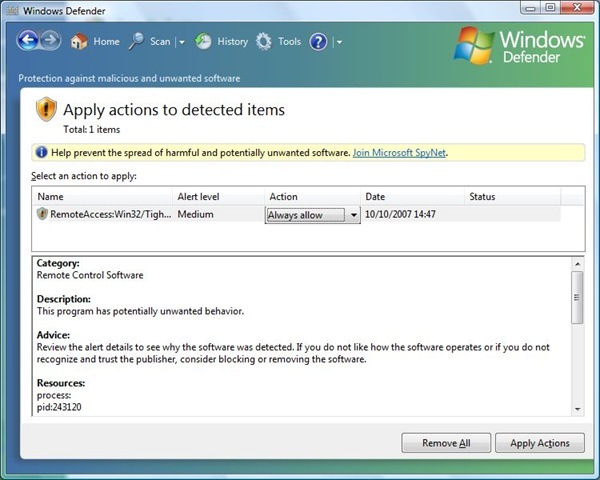 Gets past most nats and firewalls.